Acclaimed singer/songwriter Colin Hay is known for being the former frontman & main songwriter of the Australian band, Men At Work, which was one of the most popular groups of the early 1980s. Following the band’s initial breakup in 1985, Hay has built an accomplished solo career that has spanned three decades. He has previously released 12 studio albums, and in early March (2017), he will be releasing his latest album, Fierce Mercy, on Compass Records. Hay has had a unique and remarkable career—he attained superstardom at a young age with Men At Work, and then established a respected solo career with many years of touring and releasing albums. In 1989, Hay moved from Australia and relocated to Topanga Canyon, CA (near Los Angeles). During the past year, Hay has reached a new level of popularity as a solo artist. He performed on The Tonight Show Starring Jimmy Fallon, Jimmy Kimmel Live! and other TV shows. Hay has also launched a new concert tour, playing many shows in both the U.S. and the United Kingdom. Hay is also the focus of an excellent, new documentary film called Colin Hay – Waiting For My Real Life. This film covers Hay’s entire career, from his early days as a young musician, to his Men At Work years, to his career as a solo singer/songwriter. The film (directed by Nate Gowtham & Aaron Faulls) has recently been released, and is available for streaming on iTunes, Amazon, Google Play and other outlets. 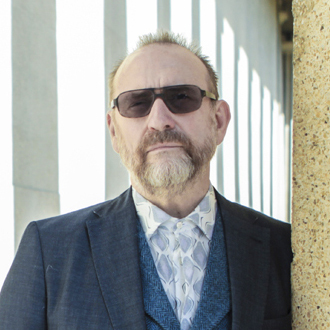 We are pleased to do this new Q&A interview with Colin Hay. But before we get started, here’s a rundown of Hay’s discography, both with Men At Work and as a solo artist. After the breakup of Men At Work, Hay launched his solo career. Here’s a list of his solo albums: Looking for Jack (1987), Wayfaring Sons (1990), Peaks & Valleys (1992), Topanga (1994), Transcendental Highway (1998), Going Somewhere (2000), Company of Strangers (2002), Man @ Work (2003), Are You Lookin’ At Me? (2007), American Sunshine (2009), Gathering Mercury (2011), Next Year People (2015), and Fierce Mercy (2017). Here is our interview with Colin Hay. He discusses the making of his new album, his documentary film, and he tells how he wrote his classic hit songs for Men At Work. DK: For your new Fierce Mercy album, I read that you recorded at your studio in Los Angeles and in Nashville. Can you tell me about the making of your album? 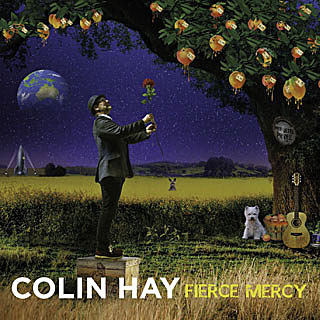 The cover of Colin Hay’s new album, Fierce Mercy. Colin Hay: All the tracks were mainly recorded in Los Angeles, It was written and recorded (here in L.A.). I did some overdubs in Nashville and recorded some strings and guitar overdubs there…it ended up being really lovely. So it has some Nashville flavor, but the actual songs were recorded here in L.A.
DK: You have a house and home studio in Topanga Canyon (near Los Angeles). Is that where you recorded your album? DK: When you’re recording at your home studio, what’s your recording process? Do you play a lot of the instruments yourself, and then you bring in other musicians? Hay: The tempo is very important—that’s what I come back to…finding the right tempo and feel for a song. First of all, if I record something, I always want it to be used. I don’t really like recording what they used to call demos, where you record a demo, and then later say, let’s record it properly. Because I have a studio, I want to get this right from the ground up. So even if I’m putting down a guitar idea for the song, I try and figure out what the arrangement is. In other words, it’s an old fashioned approach, where you’re doing a lot of pre-production before you actually record the song. What I usually do is, I figure out tempo and I record the guitar and vocal track, but mainly just for a guide vocal, so that I have a vocal there. And then I bring musicians—drums, bass, guitar and whatever the song requires, maybe piano and a couple of acoustics. And I like to cut the song live, but we already have a vocal track to play to. So when I’m recording a track with the band, I don’t have to sing it every time—the vocal’s there so you can actually just play the song. And that’s my favorite way of recording. DK: I like your new ballads “A Thousand Million Reasons” and “She Was the Love of Mine,” which have full string arrangements. Were those two songs recorded in L.A. and then you went to Nashville to do the strings? Hay: Correct. That’s exactly what happened. DK: For your past few albums, you’ve co-written many songs with Michael Georgiades. What’s made this writing collaboration work well for you? Hay: Well, it works. There’s three people in my life where I felt I had a really strong, synchronistic, collaborative spirit in terms of songwriting. So it’s a rare thing. We started off being friends—we met in a guitar store in 1993, and we just were friends for a long time. Michael’s a great songwriter—he signed publishing deals as a songwriter during the ‘70s and he made a record with Bernie Leadon of the Eagles. He was just living up here in Topanga and we became friends. We didn’t really start writing songs together for quite a while. Eventually, he would come over—we would pick up whatever guitar was sitting around. One day I would say, “What’s that you’re playing?’ And he’d say. “That’s just an idea.” I’d say, “Well we should finish that.” So I just started finishing ideas that he had. Or he would do the same thing with me. So we just started finishing each other’s ideas, and it developed from there. film about Hay’s music and life. DK: What are your favorite songs on the new album? Hay: I have lots of favorite songs on it—it depends on what day it is (laughs). I like a song called “Frozen Fields of Snow” a lot. DK: For over a decade now, you’ve released all your albums with Compass Records. What’s made this relationship work so well? Hay: They came to a show of mine in Nashville a number of years ago, and they expressed interest in working with me. At the time, I didn’t really have anyone else that I was working with, so I was very pleased that they were into it. So I’ve just been working with them ever since. DK: I enjoyed watching your new documentary film, Colin Hay – Waiting For My Real Life. How long was the film in the works, and when were you approached by the filmmakers? Hay: It think it’s been three or four years since they (Nate Gowtham and Aaron Faulls) approached me. They’d been to a number of solo shows of mine—they liked the solo work that I was doing, and were somewhat incensed by the fact that what I had been doing was a relative secret. So they wanted to film some stuff, and try to get it to a wider audience. The more they filmed, the more they realized there was a backstory, and they got more involved in the history of Men At Work and so forth. So the film developed into a life of its own. DK: In the film, it shows that you played many of your concerts solo, without a band. For your new tour, will be performing solo or with a band? Hay: Sometimes I have a band, sometimes it’s solo—it depends on what’s required. I’ll be going out on tour tomorrow which is with a band, and other times it’s solo. [Overall] it’s mostly solo but I tour with a band when I can. DK: Before we talk about your songs with Men At Work, is there anything else about your new album that you’d like to mention? Hay: Oh, I’m just glad you’re mentioning it and it’s out there, and that people can access it pretty soon. I’m very excited about this record. DK: Going back to your Men At Work days, your band came out strongly with your first album, Business as Usual. How did things come together so well? It’s rare for a debut album to do that well. Hay: It is very rare. I think there were a lot of things that conspired to create our success. I always wanted to be in a very successful rock band. And indeed, I plotted and schemed for many years…for 15 years I’d been working on it. I found Ron Stryker who was the other guitar player in the band, who is a very inspiring, brilliant guitar player. He triggered something in me, and I thought we could really do some great things together. So I asked him to play with me. I’d known Greg Ham (sax & flute player) for years, and I asked Greg to play with us, and Jerry (Speiser) the drummer joined us. So all of a sudden in the course of few months, we had this band which was creatively pretty interesting. There was also an American record producer (Peter McIan) who was in Australia at the time, and he loved the songs and wanted to work with us. So there was a lot of different elements that created the success of the band. I suppose it is a rare thing…it’s a phenomenon. But you know, we had high aspirations and we really wanted to be successful. In a lot of ways, we always thought we would be. We had a strong live audience and it kept on growing. So we really felt we were onto something. And indeed, that’s what happened. DK: I read that you and Ron Stryker actually wrote “Down Under” early on. Was that one of the first songs you wrote for the band? Hay: We didn’t really write it for the band—we wrote it a year before the band formed. We wrote a lot of songs before Men At Work existed. We originally played the songs as an acoustic duo. When the band formed, we transposed them to a band format and they worked really well. DK: “Down Under” has become such a classic song. When it first became a hit, did you think the song would have such a lasting impact and be like a theme song for Australia? Hay: Well, we didn’t really want it to be a theme song. It’s quite a dark song, actually. People don’t really pick up on that, which is not really my job to point out. It’s not a song about waving a flag—it’s really a song about about the plundering…the fear and trepidation of the natural wealth of a country for short-term gain. That’s really what the song is about. But of course, not many people pick up on that. We always really loved the song—we thought the song was very strong and powerful. And I think that people recognized that it is. DK: Men At Work’s debut album had another big hit, “Who Can It Be Now?”, which helped break the band worldwide. How did you write this song? Hay: I wrote it in the bush of Southern New South Wales. My girlfriend at the time and I had some land there in the middle of the bush, a place called Bermagui. And we had a little treehouse…we were hippies (laughs). This was around 1979. I just wrote the song, sitting there outside the little treehouse, and my girlfriend said, “That will be the first hit you have.” And she was correct. DK: “Who Can It Be Now?” has a great saxophone solo part. Was that something you envisioned when you first wrote it? Or was that something (sax player) Greg Ham suggested for the song? Hay: No, the melody line was always there. You know, Greg had a great (sax) tone, and I played that line in the song. But when (producer) Peter McIan started to work on the song with us, he was the one who suggested moving the saxophone hook to the front of the song, which gave it it’s identifiable hook. And indeed there was a great saxophone solo in the song, and that was from the rehearsal take. Peter said to Greg, “Just play whatever and we’ll just get a sound on the saxophone.” And so Greg just played that solo. Then Peter just said “Thank you,” and we kept that. He just played that solo once, and once only. DK: Well, that certainly turned out to be a good take. Hay: Yes it was…it was fantastic. It was perfect. DK: Another favorite Men At Work song is your hit, “Overkill.” What inspired you to write this song? Hay: “Overkill” was written when Men At Work was really starting to take off. And I thought to myself…well, nothing’s going to be the same ever again. We’re not going to able to walk in the same neighborhoods with the same level of anonymity as before, and I knew that things were happening very quickly. I was also developing quite a challenging kind of drinking habit, you know? (laughs). So I thought I was going to have to address this at some point. So there were a few things that were concerning me, about diving in the deep end of life with a drink. Was I up for it? DK: I really like the melody on “Overkill.” It has a great feel to it. Hay: Yeah, it’s got kind of a haunting quality to it. DK: Moving past your Men At Work years, your solo song “Beautiful World” has become a fan favorite. It has a positive, optimistic lyric. Can you tell me about writing this song? Hay: Yeah, well again with the drinking (laughs). I was living here (in Los Angeles), and I was struggling a little bit with having moved here and starting again. And I was freshly sober. So I was taking great delight in the simple things in life, because really, when you give up things…when you give up the drink, you have a lot of time on your hands (laughs). And so that’s where that song came from. DK: Currently, you’re focusing on your new album release, Fierce Mercy. But besides this album, which of your solo albums would you recommend that people check out? Hay: Oh, Going Somewhere is a good record, because it’s all acoustic. There’s definitely some interesting songs on there. It has some songs from a couple of other albums. 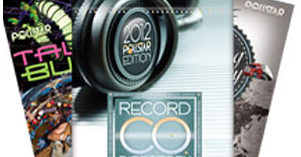 I also think the last record that I did, Next Year People, has got some strong things on there as well. But I’m happy if people buy any of them, really (laughs). It means a lot to me. DK: In closing, as you look back over the years and put things in perspective, how do you look back at Men At Work, and on your many years as a solo artist? Hay: Well. I don’t really do that. I don’t look back and think about that. You know, I try and not put things in perspective (laughs). I don’t find that as a worthwhile exercise, to put things in perspective. It never really seems to work out (laughs).